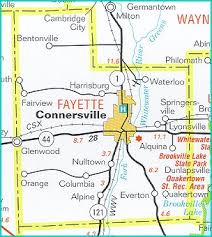 (Connersville, IN)--Investigators have now concluded their investigation into the body that was found in a Fayette County farm field early last month. They’ve ruled that no foul play was involved in the death of 34-year-old Danielle Holt. According to toxicology reports, Holt died from an acute antihistamine overdose. Holt had been missing for nearly two weeks before her body was found by a farmer harvesting his corn.